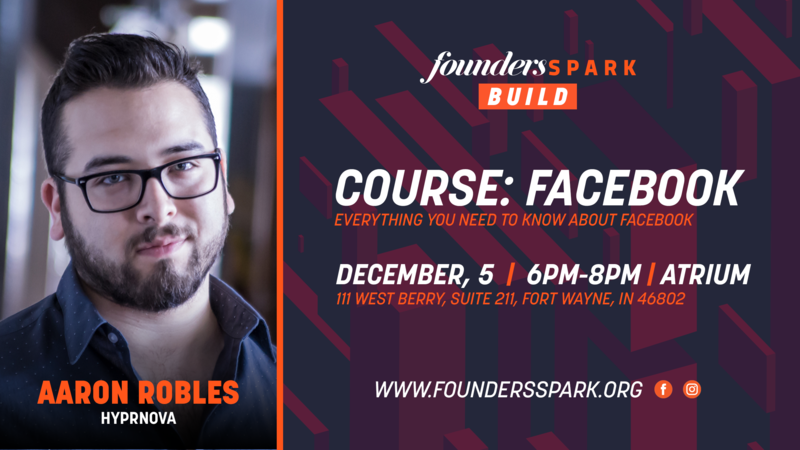 Founders Spark: Build is an extension of Founders Spark focused on teaching tactical and focused skills for entrepreneurs to build out their vision. We'll be covering a range of different topics during the courses from advertising to finance, legal, and other skills that will help your business explode. Attendees learn from experts in their respective fields and have the opportunity to ask questions in an intimate setting. You'll be able to engage and help one another in a hands-on way to leave with not only a better understanding of the subject-matter, but clear strategies you can implement immediately. Our first session will be focused on Facebook. It's now a given that most businesses require a social media presence in order to thrive. In such a fast-paced world it can quickly get overwhelming, especially with everything business owners have to deal with already. In this course, we'll take a comprehensive dive into the world of Facebook and how you can best use it to grow and thrive as a business. You'll leave with a simple to use strategy that can be implemented right away.